This article by Fr. Thomas Rosica, CSB was originally published in the Catholic Register. Watch Fr. Rosica's interview with Cardinal-designate Thomas Collins shortly before his departure for the Consistory. When Archbishop Thomas Collins climbs the steps to the main altar of St. Peter’s Basilica on Feb. 18 and kneels before Pope Benedict XVI to receive the red berretta, he begins a form of public martyrdom. He not only represents the great archdiocese of Toronto, but all of Canada, especially Anglophone Canada. Thomas Collins knows full well the difficulties of the complex ministry that he undertakes as cardinal. 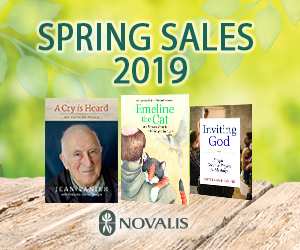 As cardinal, he does not lord it over others, but continues to serve the Church through the logic of humility and service — a logic which has distinguished his priestly and episcopal ministry for many years. 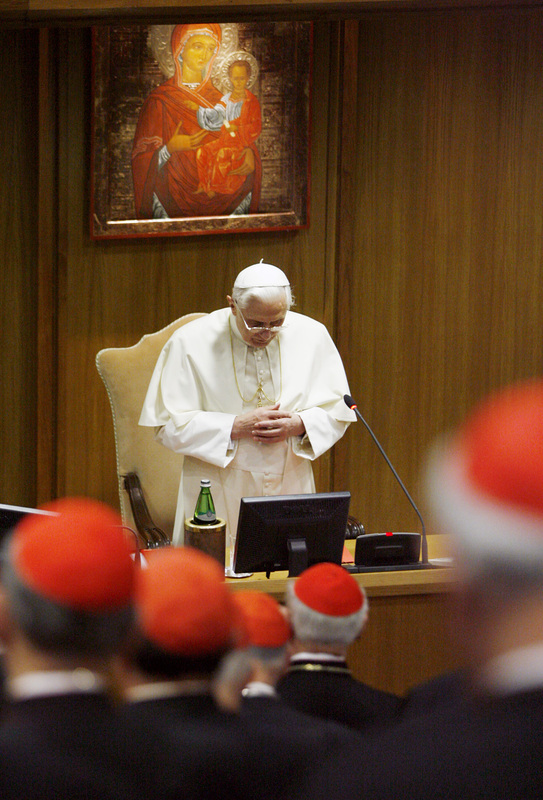 Cardinals are chosen by the Holy Father to serve as his principal assistants and advisers in the central administration of Church affairs. 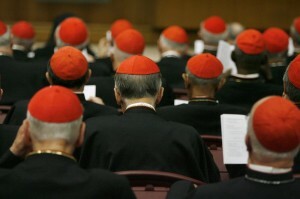 Collectively, they form the College of Cardinals. The word cardinal is derived from two early Latin terms, cardo and cardinis. The English translation has rendered these two words as “hinge,” a device that connects two opposing forces and brings harmony as a result. As a hinge permits a door to hang and open easily, so to it was believed that cardinals facilitated an easy relationship between the theological and governmental roles of the hierarchy of the Church. The role of the College of Cardinals remains a pivotal one in the Church of our time. In January 2007, “Toronto the good” became “Toronto the better” because Archbishop Thomas Collins said yes to Benedict’s invitation to come from Edmonton to Toronto. Five years later, we thank God that we have indeed received a good shepherd, a tireless pastor, a wise teacher and prudent steward of the mysteries and heritage of the Church. Re’s description of the role of a bishop describes so well the ministry of Thomas Christopher Collins: one who is familiar with the Word because he lives in the House of the Word. And now a new title is added to that long list: Cardinal — hinge, door, public witness, peacemaker. Cardinals have the great responsibility of being instruments and agents of communion and harmony. They are constantly reaching out, listening to all generations, consulting, dialoguing with the secular and the sacred, and facilitating the complex but necessary relationship between the theological and governmental roles of the hierarchy of the Church. Many of us know that Cardinal-designate Collins has chosen to live not in a mansion but in the rectory of St. Michael’s Cathedral, in the heart of downtown Toronto. But even more important than this physical dwelling is the real address of Toronto’s Cardinal Archbishop. For many years prior to his Toronto mission, he lived at addresses that were also the House of the Word of God: first in Hamilton, then London, then St. Paul, Alta., then Edmonton, now Toronto. The fruits of dwelling in such homes are obvious to anyone who meets him and has the inestimable privilege of working with him. The lectio divina that he regularly shares with the world from his home, through the medium of Salt + Light Television, have invited the world into the House of the Word! Ad multos annos among us, Your Eminence! Fr. Thomas Rosica, C.S.B., is CEO of the Salt + Light Catholic Media Foundation and President of Assumption University in Windsor. He serves on the Pontifical Council for Social Communications at the Vatican along with Cardinal-designate Thomas Collins.